Set Of Modern Office Interior With Designer Desktop In Flat Design. Interior Office Room. Office Space. Vector Illustration. 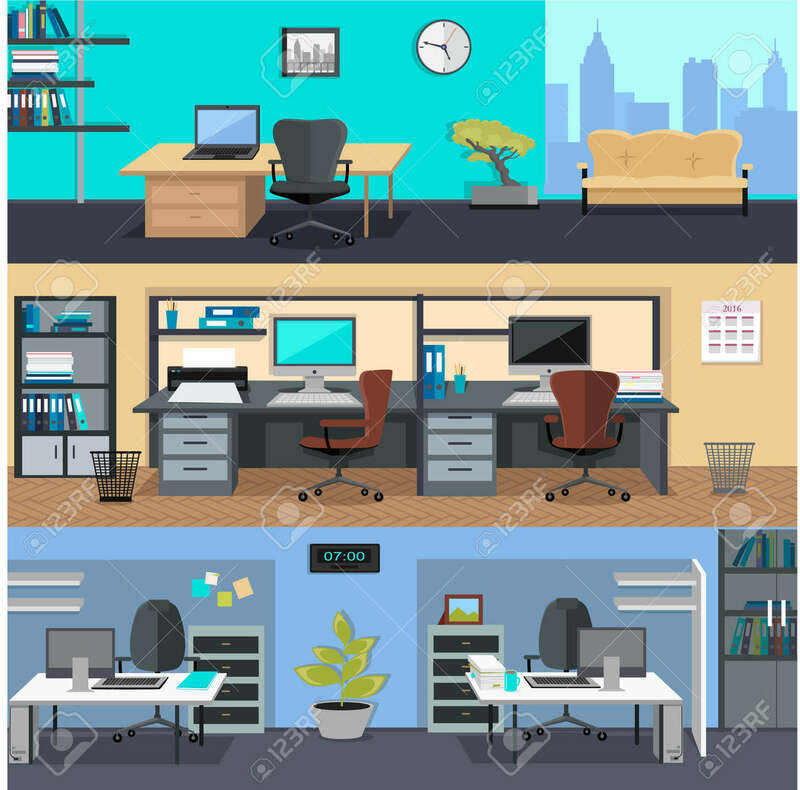 Working Place In Office Interior Workplace Royalty Free Kliparty, Vektory A Ilustrace. Image 54338237.